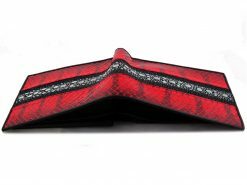 A stingray wallet is resistant to fire, water and punctures. 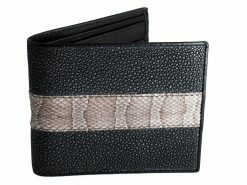 Prized for its texture, the varied finishes of a stingray leather wallet make for some seriously cool mens wallets. 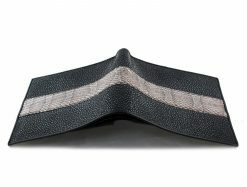 Sanding and polishing can give stingray wallets a glassy smooth finish. 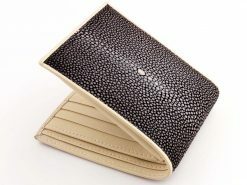 Stingray wallets are popular worldwide with the skin having a deep cultural significance and history for many. 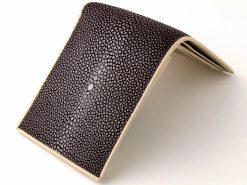 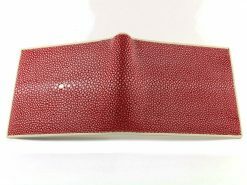 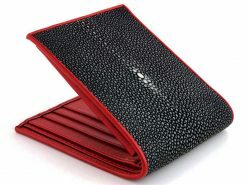 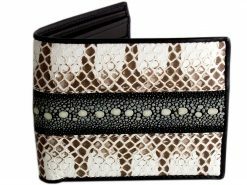 In Europe, a sting ray skin wallet is best known as a shagreen wallet describing its pebbly texture. 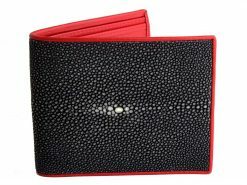 Known by some as the immortal jewel of the sea, a stingray skin wallet is believed to bring good luck in Asian cultures. 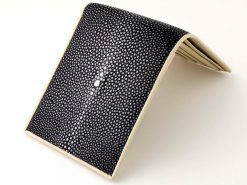 In Japan, “honzame” stingray skin once adorned the the scabbards and handles of samurai swords. 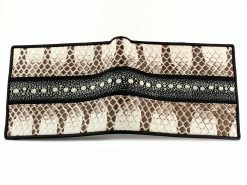 This was considered to empower its bearer with strength and protection in battle. 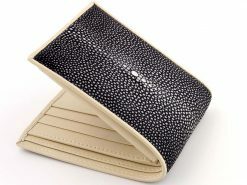 Used in armor and ornamental inlays, tombs of the Pharaohs revealed stingray leather as a symbol of power and status. 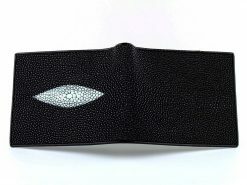 We particularly like Eagle ray skin used in our shark & stingray custom wallet identified by the continuous row of pearls through the center. 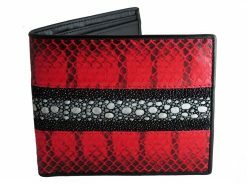 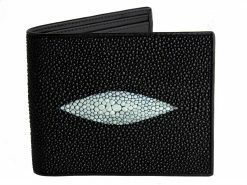 This mens stingray wallet is unique and exclusive to Real Mens Wallets. 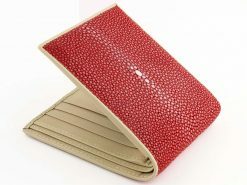 All leathers and skins we use come from farmed or sustainable resources.